SS YEA! provides experiential learning camp curriculums tailored for ages 7 – 18. The camps focus on equipping age appropriate groups (shown below) with the life skills they require to meet the challenges and opportunities they face each day. Unique to SS YEA! 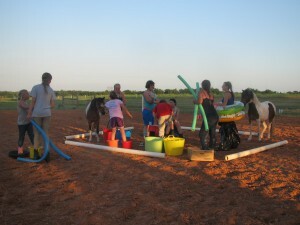 is its Equine-Assisted Vacation Bible School (EAVBS). This one-of-a-kind, Biblically-based program has become one of SS YEA!’s most successful venues for children and youth, combining learning with leadership. SS YEA! staff teams with pre-teens and young teens to equip them with the life skills necessary for successfully navigating the adolescent years. This 5-day camp will cover topics that are often faced by today’s youth. Please check us out and choose to join with us as we learn together through valuable, Equine Experiential Education using EAL activities. Each young participant will have the opportunity to experientially interact with the horses in a collaborative learning environment. We use this controlled, but dynamically interactive approach, so that each participant may discover positive ways of communicating and interacting with their peers. SS YEA! staff teams with high schoolers to equip them with the life skills necessary for successfully navigating high school and beyond. This 5-day camp will cover topics that are often faced by today’s young adults. Please check us out and choose to join with us as we learn through valuable, Equine Experiential Education using EAL activities. Each youth participant will have the opportunity to experientially interact with the horses in a collaborative learning environment. We use this controlled, but dynamically interactive approach so that each young adult participant may discover positive ways of communicating and interacting and other valuable skills necessary to prepare for college and career. SS YEA! partners with First Baptist Church of Anna, Texas (First Anna) providing a Biblically-based, Equine-Assisted Vacation Bible School (EAVBS) for children. This 5-day, interactive program of fun and learning brings to life inspirational Bible stories and principles applicable to today’s younger generation. Coupling our Bible-centered lessons to our unique, Equine Experiential Education using Equine-Assisted Learning activities provides a one-of-a-kind opportunity for children to learn, acquire, and apply Biblical truths. Some of our own SS YEA! riding students and student alumni participate in a leadership camp running concurrently with EAVBS. These students then work with the SS YEA! 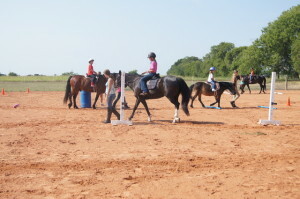 staff to facilitate the Equine Experiential Education using Equine-Assisted Learning activities for the VBS children. Prior years’ participants and parents continue to affirm the great value of this unique program and experience. Reserved for the younger set of SS YEA! 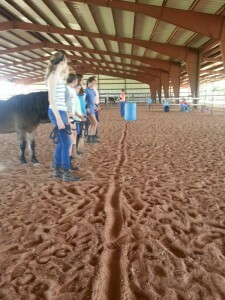 students, this Equine Experiential Education using Equine-Assisted Learning experience builds upon horsemanship skills acquired by students taking lessons during the year leading up to this 3-day camp. 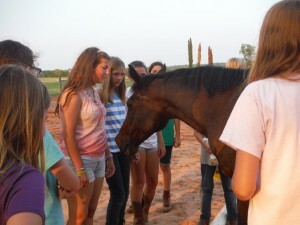 Students gain higher levels of perception and learning through hands-on activities with their equine partners. Please contact SS YEA! if you are interested in any of our Building Blocks for Life or Equine-Assisted VBS programs.